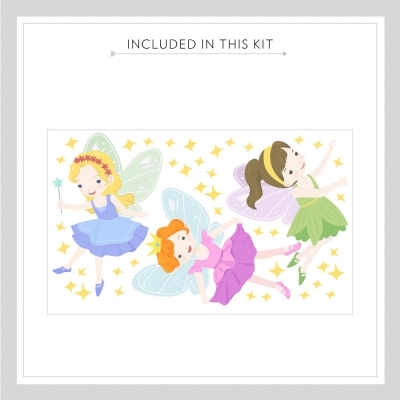 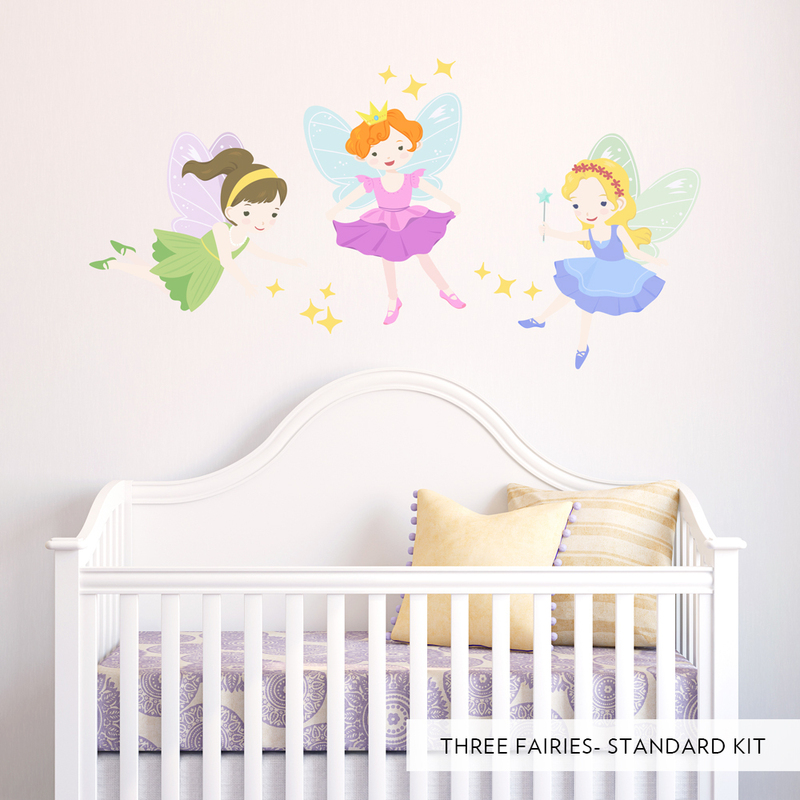 Your little girl will love our Three Fairies Printed Wall Decal. 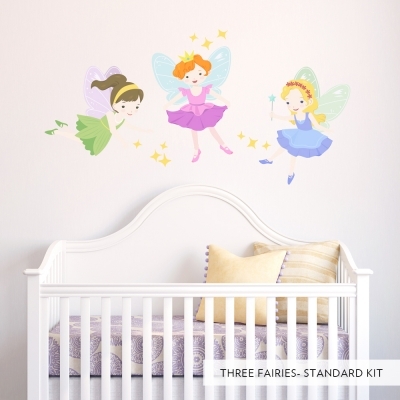 With plenty of sparkles to place around the fairies, her room will become a wonderland to play in. 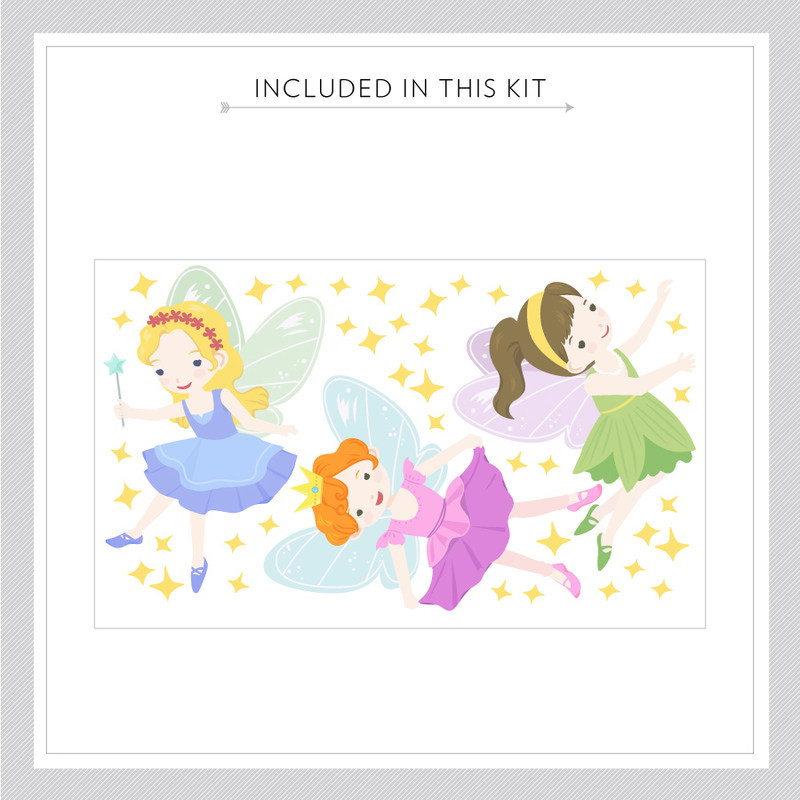 Each fairy is approximately 20" tall.